Can you imagine collecting autographs without them? ﻿﻿ This holiday season is the time of miracles. I’ve been part of a miracle for the last 40 years. I can’t think of a better description for the United States Postal Service. For just two stamps, 88 cents, I get access to any former major leaguer. All I need is an address. Often, this magic happens in days. This bargain still amazes me. Yeah, not likely. Well, that’s the feat the USPS performs — every day! I’m not saying the USPS is perfect. All I know is that they have a much better batting average than I’ve ever enjoyed. The thought of nearly 16 BILLION packages being handled and delivered between Thanksgiving and Christmas is astounding. Thank your mail carrier. Learn their name. For all the joy they bring, I don’t think they get a lot of appreciation. 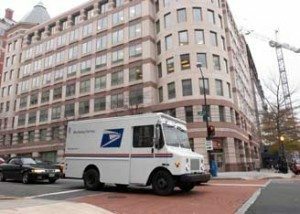 I’m grateful to Angela (our route’s postal carrier) and all other USPS staff who’ve helped me connect with major leaguers since 1972. I couldn’t have done it without you.